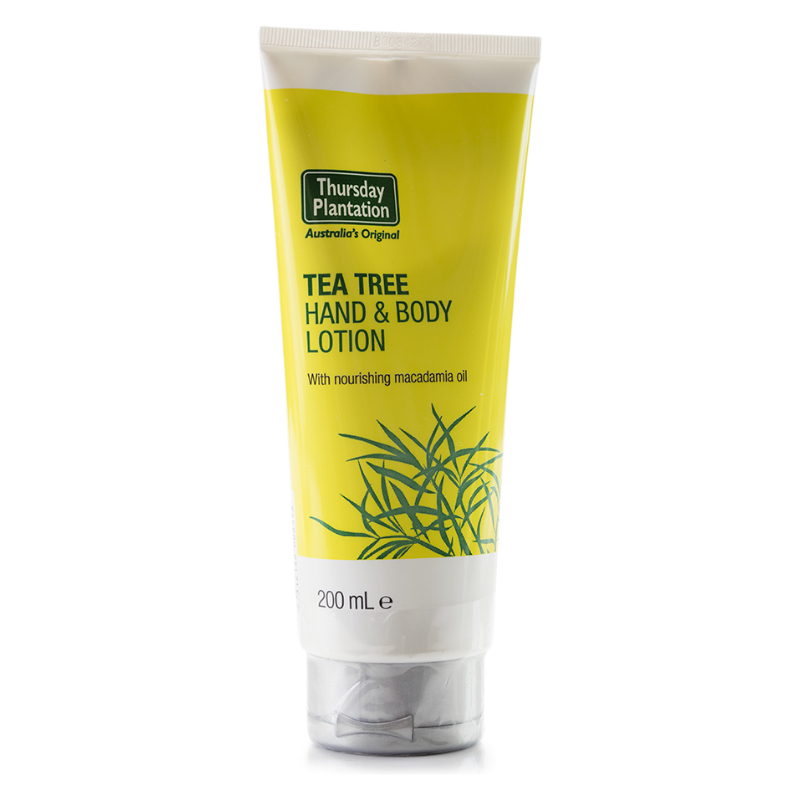 Thursday Plantation Tea Tree Hand & Body Lotion moisturises and improves skin hydration by capturing the power of nature’s oils. Soothes dry or sensitive skin. Ideal for everyday use, for after sun or shaving. Combines Aloe Vera for a perfect after sun moisturizer, Macadamia Oil for instant hydration, Glycerin a natural humectant which attracts moisture to the skin and toning Witch Hazel. Infused with Lavender for a relaxing experience. Free from polysorbates, petrochemicals, mineral oils, propylene glycol, SLS, synthetic fragrances, synthetic colours, synthetic preservatives, synthetic parabens and animal derived ingredients. Water/Aqua, Aloe Barbadensis Leaf Juice, Hamamelis Virginiana Extract Cetyl Alcohol, Glyceryl Stearate, Glycerin, Caprylic/Capric Triglyceride, Stearic Acid, Melaleuca Alternifolia Leaf Oil, Macadamia Integrifolia Seed Oil, Xanthan Gum, Lonicera Caprifolium Flower Extract, Lavandula Angustifolia Oil, Lonicera Japonica Flower Extract, Tocopheryl Acetate, Linalool, Limonene.